Intuit yesterday said it will complete the sale of is Quicken personal finance software by April 30. "We expect the process to sell Demandforce, QuickBase and Quicken will be completed this fiscal quarter," Intuit said in prepared remarks Thursday during an earnings call with Wall Street. Intuit's current financial quarter runs from Feb. 1 to April 30. The Mountain View, Calif. company announced the sale of Quicken, as well as two other product lines -- QuickBase, a customizable database for small and mid-sized businesses, and Demandforce, a customer management platform, also for small businesses -- in August 2015. "Quicken is a desktop-centric business and it doesn't strengthen the small business or tax ecosystems," said Intuit CEO Brad Smith at the time, referring to the firm's focus on QuickBooks and TurboTax. Intuit sold Demandforce to Internet Brands in January for an undisclosed amount. Yesterday, Intuit said it expected to get a combined $500 million for the three software lines, or just $76 million more than it paid for Demandforce in 2012. The company said nothing about the buyer of Quicken, the personal finance program that harks back to 1983. Previously, Intuit said it hoped to find a buyer "that recognizes the value of the brand, respects the customers and will invest in upgrading the product and support experience," but made no promises. When news of Quicken's sale broke last year, many long-time users of the software were skeptical that the program had much of a future. "I expect Quicken to be dead in two years at best," predicted one user in a comment on a since-closed thread on Intuit's support forum. 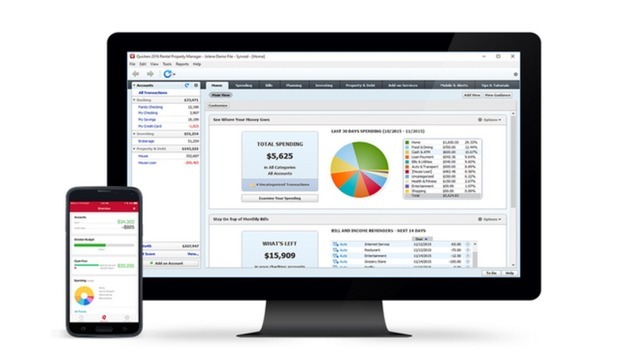 Intuit released Quicken 2016 for Windows and OS X in November, and continues to sell the software for between $40 and $165. The most popular version, Quicken Deluxe for Windows, costs $75.